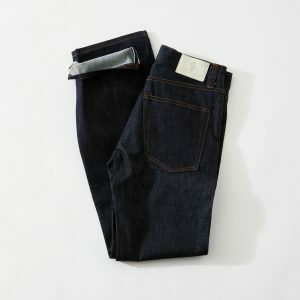 If Banana Republic has a “heritage” line, then we need a new word for what Ginew does. 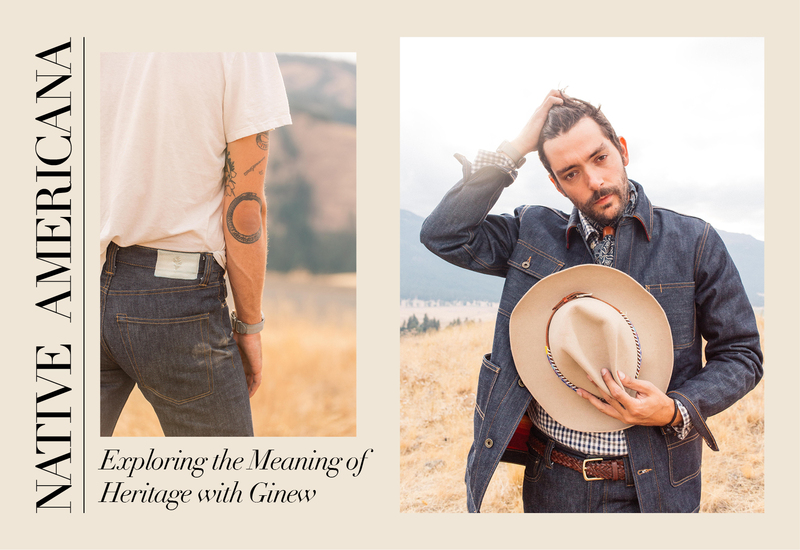 Portland, Oregon-based brand Ginew and their apparel and accessories go beyond heritage–they’re ancestral. The clothes are a part of the story, and the story exists apart from the clothes. 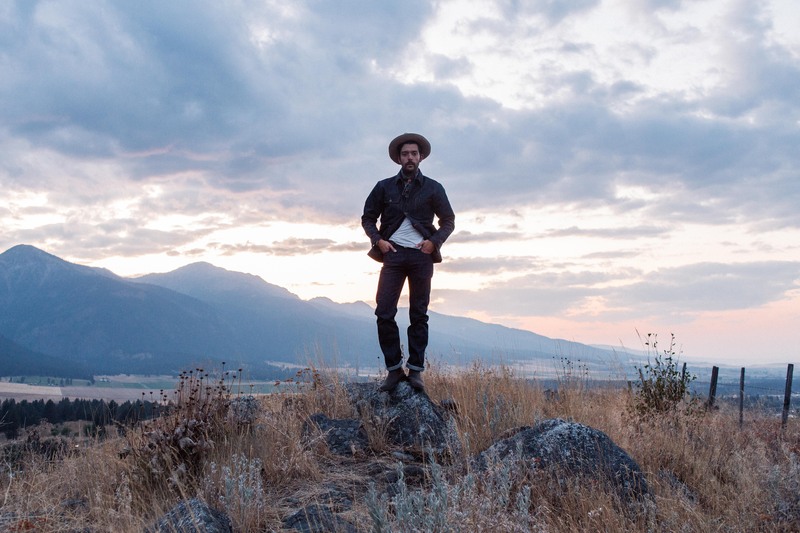 Founders and husband-and-wife team Erik Brodt and Amanda Breugl’s first step on the path to Ginew was the buffalo hide belts worn by their wedding party. The hide itself was from a buffalo that was hunted by Erik’s dad, which was tanned by their family and eaten at their wedding. “The experience of Ginew has been glorious happenstance, as we did not intend to launch a collection. We were just following our interests and dreams. Then other people began to notice and join us on our journey,” says Erik. I had a one email interaction with Erik before he asked me to meet with him face to face because that’s the kind of man he is. 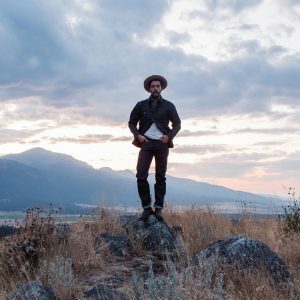 That same straightforwardness is present in the clothes and accessories, all Made in the USA by Ginew and their friends, which include Crescent Down Works, Duckworth, Ft. Lonesome, L A N D Boys and Pendleton. Each piece, from the barn coat style Heritage Coat to the Crow Wing Jean made from late, great White Oak Cone Denim is rich with subtle detail, however, these details never distract from the usefulness and simple beauty of each garment. “We want to be just as proud of the garment in 25 years as we are today, thus we take our time and make sure to include the elements that we value most,” says Amanda. 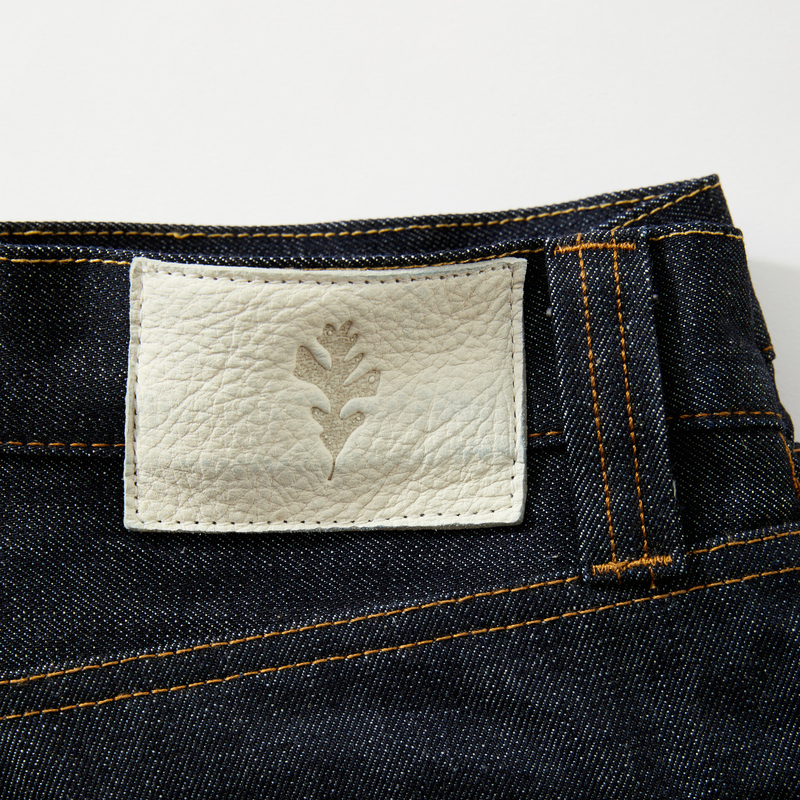 Ginew is the only Native American-owned denim collection. 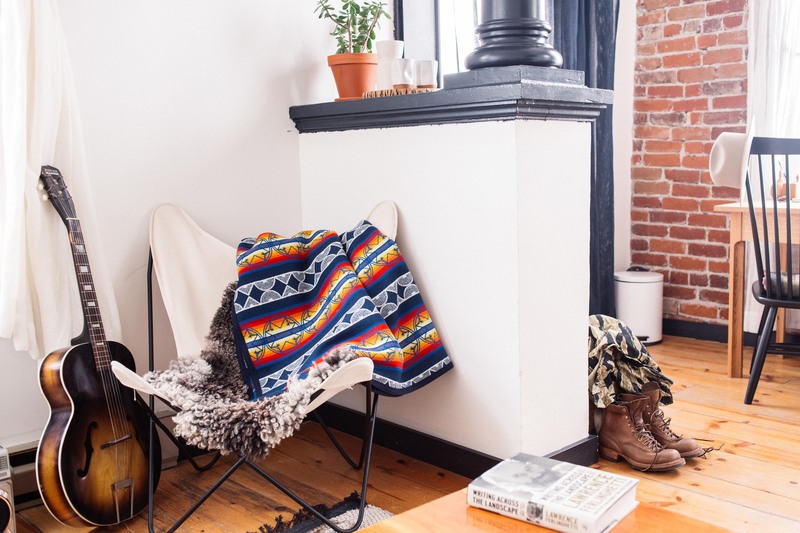 This has a special importance in denim and menswear, which has a history of appropriating Native American symbols and imagery. 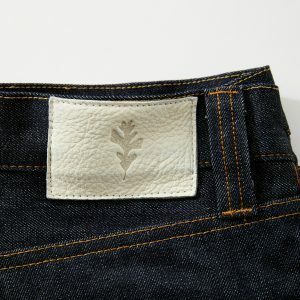 Marissa Gonzales, a Cherokee/Choctaw woman and photographer in Los Angeles remarks, “My parents were farmers, my grandpa still lives on a ranch… jeans and a denim jacket became my everyday wear… so having Ginew provide Native culture with denim is a dream come true for me.” This connection to workwear in Ginew’s collection is central to the brand. There is one piece in the collection that contains actual symbols from Erik and Amanda’s Ojibwe, Oneida and Mohican backgrounds: a custom pattern designed with Dyani Whitehawk and produced by Oregon’s Pendleton Woolen Mills. 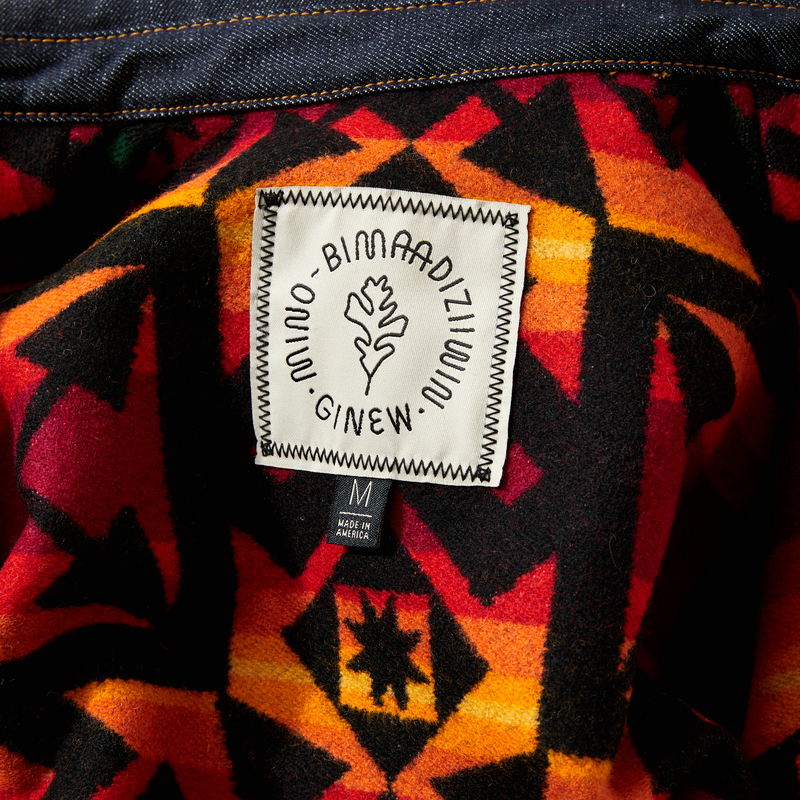 The Pendleton fabric appears in Ginew’s signature “We Walk Together” blanket and features symbols from both Erik and Amanda’s tribal heritages. 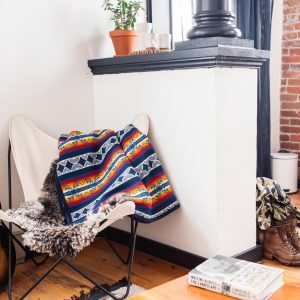 Describing the pattern of the blanket, Erik says, “We took two symbols from our respective communities, the ‘lodge’ and ‘skydome,’ and combined these like our lives are combined. The symbol represents how we are different, yet how we both value our teachings and hold them dear in our daily lives.” It’s clear when you sit with this blanket or when you put on the Heritage Coat that these pieces contain a significance beyond the items themselves. You’re participating in a deep, immediate and truthful story. An actual living heritage. Images courtesy of Brandon Herrell and Roo Way.